Got a few extra K-Cups laying around? 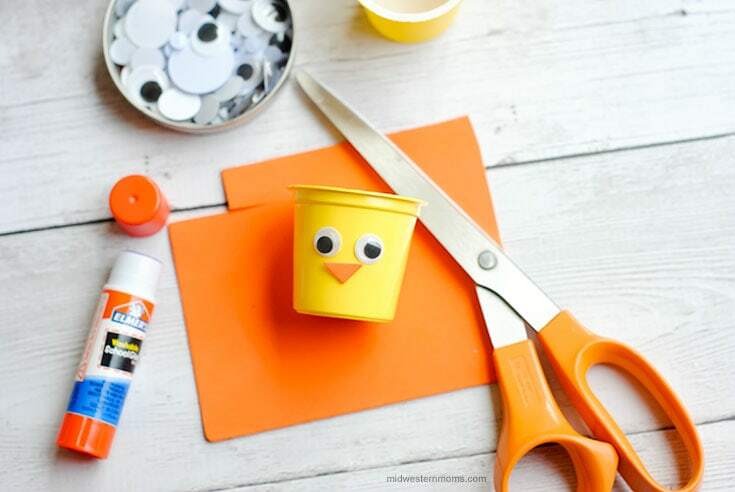 If so, you need to make this super cute Easter Chick Craft. Isn’t that little chick adorable?! 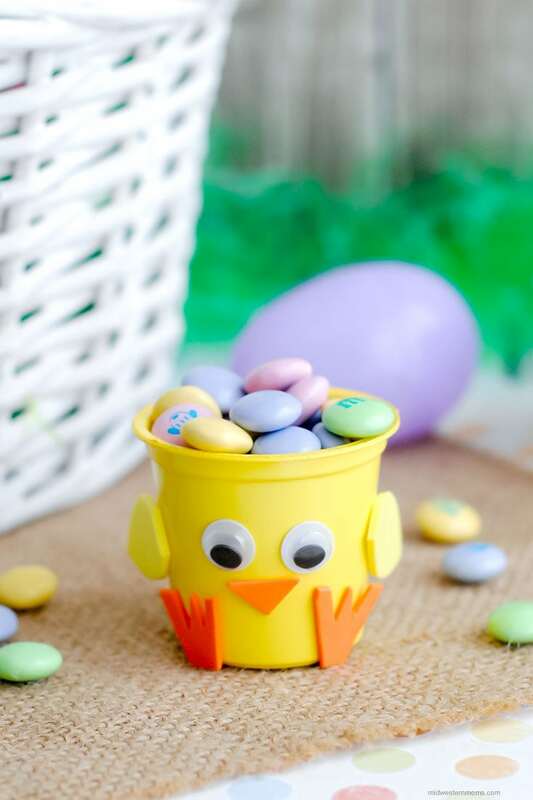 So gather up your used K-Cups and let’s get ready to make a chick! Spray the k-cup yellow in a well-ventilated area and let dry completely. If needed, spray again to get any spots missed the first time around. 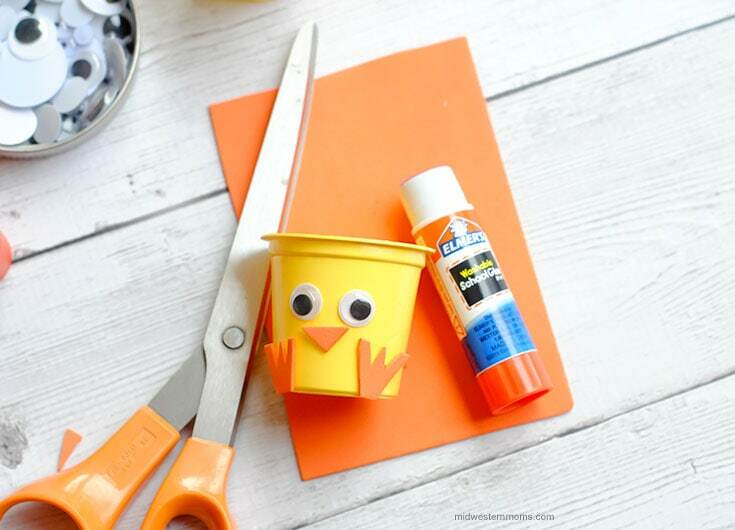 Use the glue stick to give the chick 2 googly eyes. Cut a small triangle from the orange foam and attach to the k-cup for the chick’s beak. 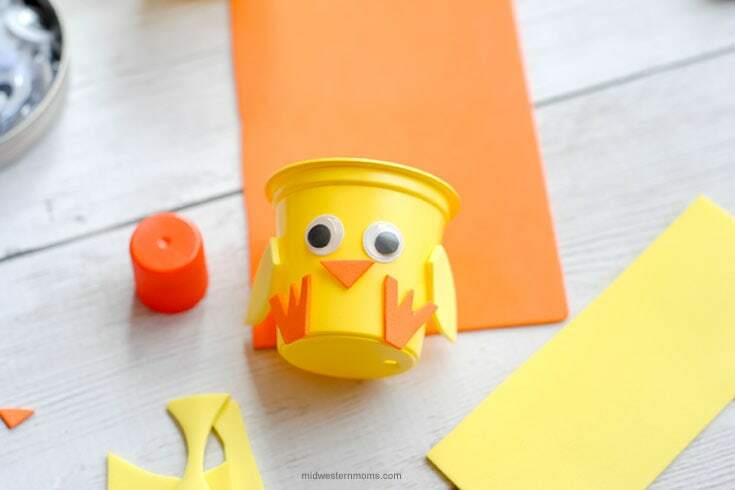 Use the scissors to cut 2 small squares from the orange foam, cut into a W shape for the chicks feet and attach using the glue stick. 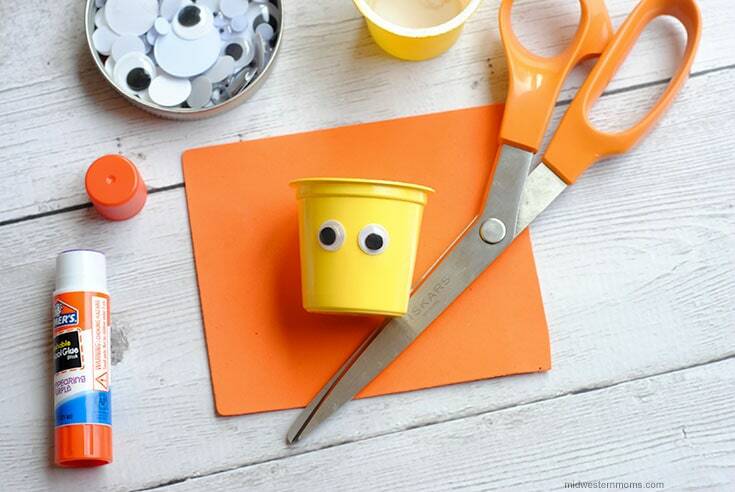 Cut wing shapes out of the yellow foam and glue them on the sides of the K-Cup. 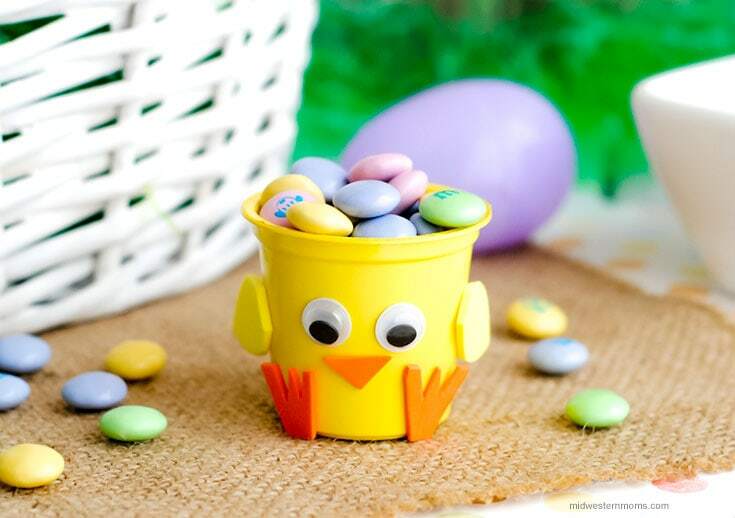 Once your chick is complete, fill with candy or other goodies. *Important Note: Because I used spray paint on my k-cups I cut small pieces of plastic wrap and placed inside the k-cups and then placed the treats inside. If using a paint brush and acrylic paint to paint the outside of the k-cups (works just as well, just takes a bit longer) you could simply fill with treats.